As you know, I’m obsessed with line work and I am always trying to find the perfect tools for crisp lines. For this piece, I tested out a new gold ink that I have fallen in love with. It’s incredibly versatile and can be applied with a brush or a pen. You can buy single colors, or sets. I’d recommend a set as it’s a much better value. 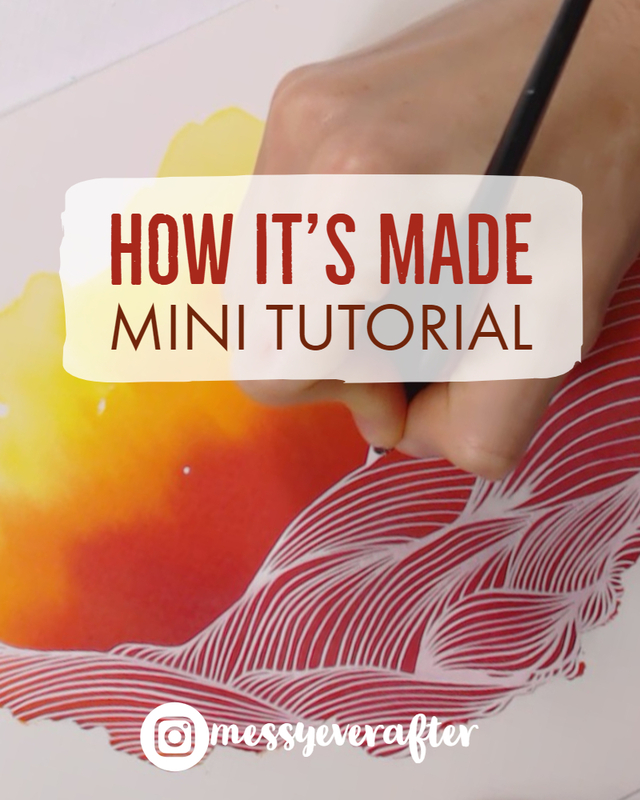 Cut your watercolor paper to your desired size. For this piece, I cut down to 3″x3″. You can tape your paper down with masking tape to prevent warping, but I find this small size doesn’t warp much at all. Use a protractor or any cylindrical object and draw a light circle in the middle of your paper with a pencil. Deposit a small amount of each ink color onto your palette. Using your smaller brush, mix the deeper plum/purple shade first. Use a bit of violet and lake blue, and magenta. Mix together on your palette. You’ll want a bit more magenta to push the hue to the plum side. Using your bigger watercolor brush, lightly wet the entire circle with clean water. Work the ink into the bottom of your circle with your small brush. Then mix a new hue that is heavier on the violet and work into the bottom layer up into the middle of the circle. Work lake blue into the upper section of the circle. Blend all of the layers together. Clean your brush when working from dark to light. Dab areas of the circle with a paper towel if you want to lift the ink for lighter areas. Use any of the pen tips in the Speedball set. I like the softer/pliable tips. Using a pipette or watercolor brush, put a little clean water onto the Arabic Gold pan. Use a harder bristled synthetic brush and rub the water into the surface until it starts to soften and liquify. You want to stir in water until the gold is like a thin paint or thick ink. 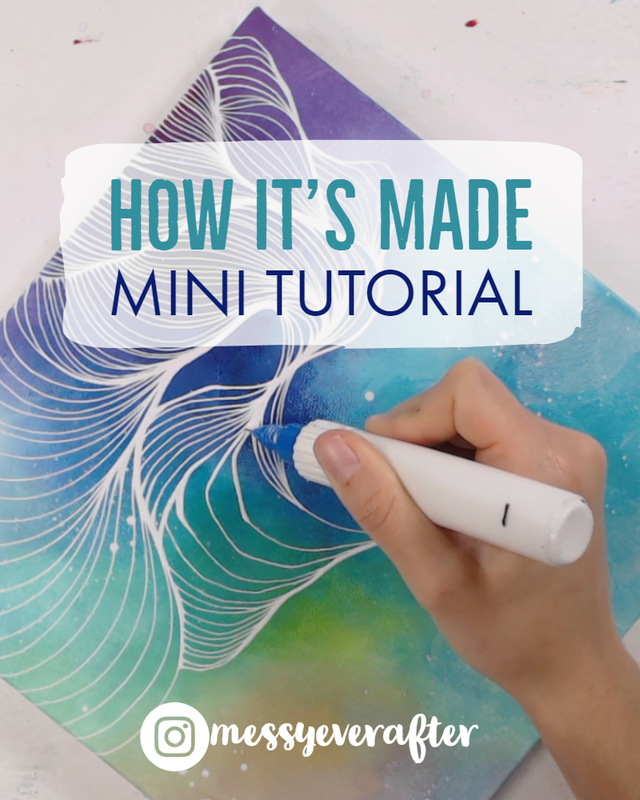 Use the brush to deposit some of the ink onto your Speedball pen tip. Then, test out your ink and pen on a scratch piece of paper to get used to the feel. If the ink doesn’t transfer to the paper, try thinning it with more water, or deposit more onto the pen. Once you feel somewhat confident in your control of the pen, grab your completely dry paper. Starting from the base of the ink work, create geometric lines. You can use a ruler if you’re more comfortable with that, but you’ll have to wait for each line to dry completely before moving the ruler. I find it’s easier to free hand, but it can take some practice to get to that point. Once finished with the lines, add stars with your pen or a fine tipped brush. If your pencil outline is visible, use your eraser and clean up the edges once the gold ink is dry. 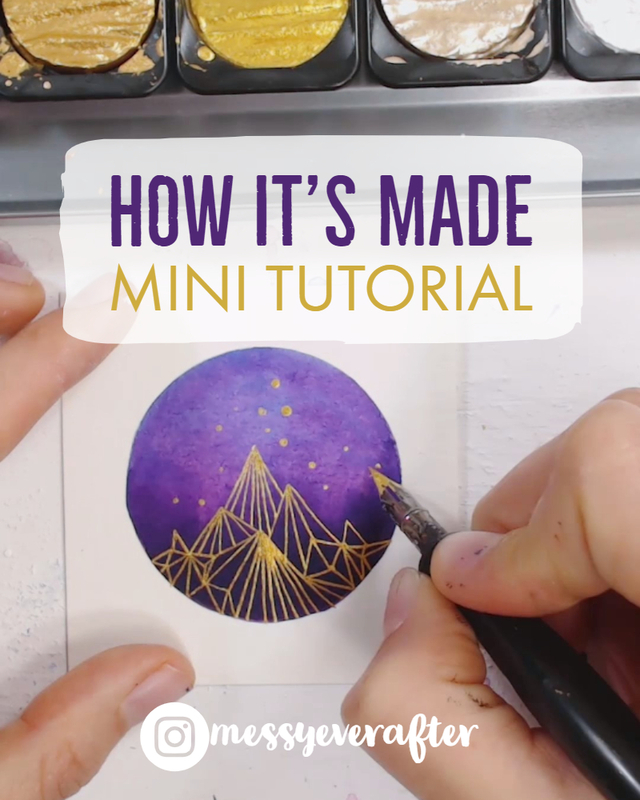 If you enjoyed this little tutorial and want to learn more, let me know through Instagram or Email, or consider becoming a Patron of mine (See details below!) Now go get messy and share your creation on Instagram using #messyeverafter!